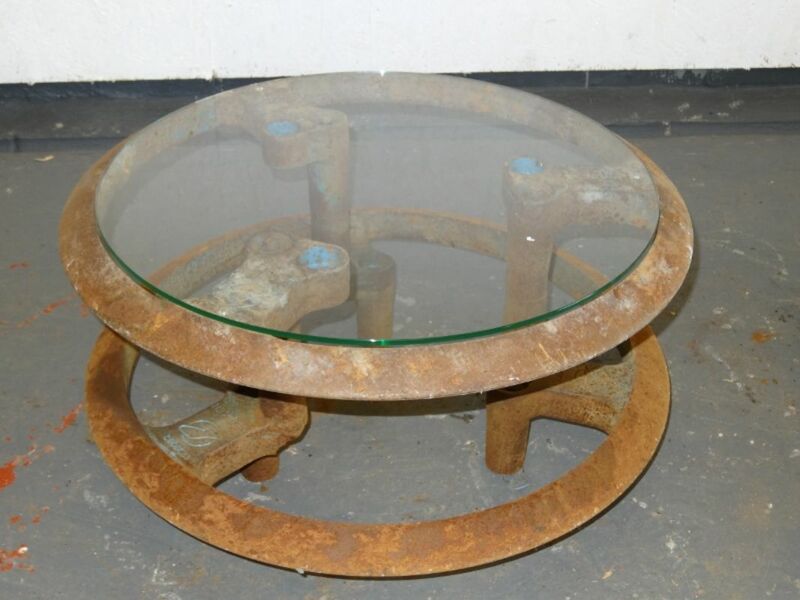 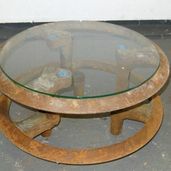 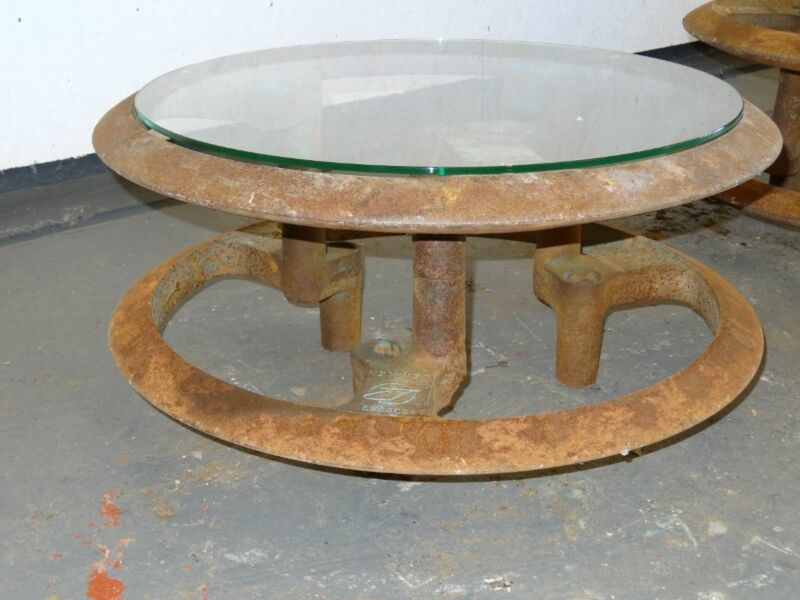 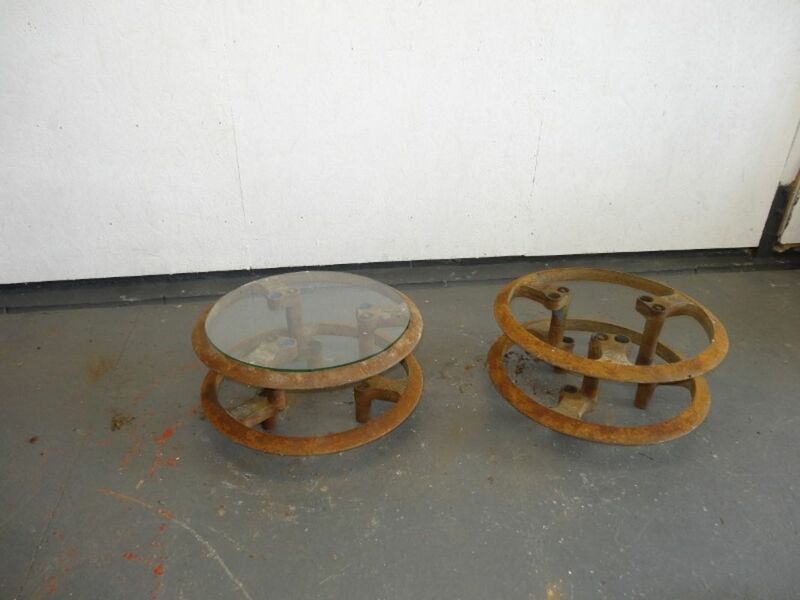 Cast Iron Coffee Tables made from reclaimed farm machinery with glass tops. 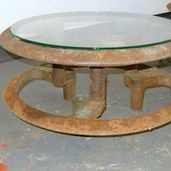 These can be sand blasted and waxed or left in their current state to suit the customers preference. 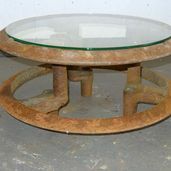 25” (64cm) diameter 13” (33cm) tall. 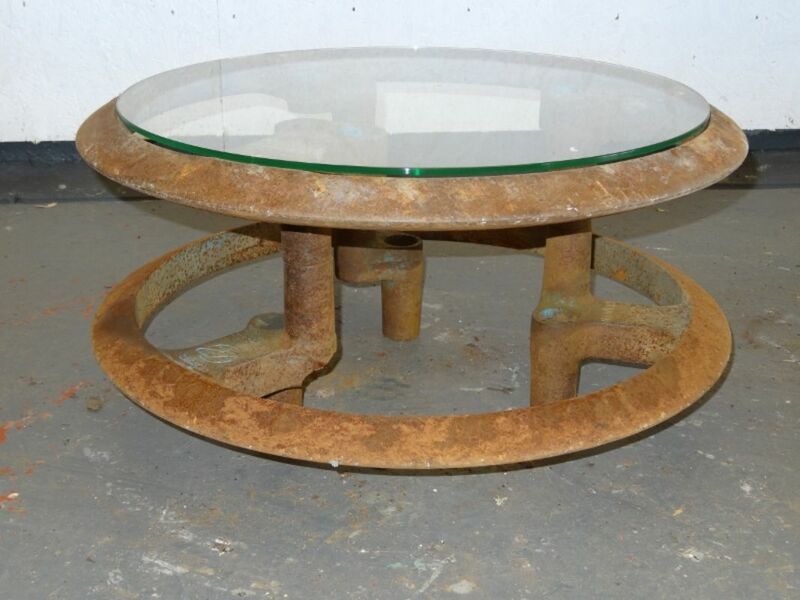 We have a further 8 of these.